A week after the fall of Sudan’s long-time President Omar al-Bashir, a huge crowd has converged in the streets of the capital, demanding the country’s transitional military council hand over power to civilians. Demonstrators joined a sit-in protest that began early this month outside an army complex, which houses the president’s residence and the defense ministry — the culmination of 16 weeks of protests which initially erupted on December 19, 2018, in the face of a government decision to triple the price of bread. The protests finally led to Bashir being ousted and arrested after almost three decades in power. The ten-man military council, which has taken power, announced a two-year transition period to civilian rule. The council has also promised to work with Bashir opponents and opposition groups to form an interim civilian government. “We are completely committed to handing over power within a maximum two years,” one of the members of the council, Lieutenant General Salah Abdelkhalek said on Thursday. This is while Saudi Arabia and the United Arab Emirates have announced their backing for the transitional military council. Chairman of Sudan’s Transitional Military Council Abdel-Fattah al-Burhan on Tuesday praised Sudan’s distinguished relations with Saudi Arabia and the UAE), official SUNA news agency reported. Burhan, who is known for his ties to the Saudi kingdom, met with a joint delegation from Riyadh and Abu Dhabi this week, and received a verbal message from their leaders. The council’s spokesman said on Thursday that the undersecretary at Sudan’s foreign ministry had been dismissed for preparing for the visit of a delegation from Qatar, the regional rival of Riyadh and Abu Dhabi. Spokesman Shams El Din Kabbashi said the ministry had made the statement without consulting the council. Analysts warn that both Riyadh and Abu Dhabi are striving to influence the transition process by backing the military council. Saudi Arabia and the UAE had cultivated close ties with Bashir before his ouster and were reportedly exhorting him to forge relations with Israel. With protests raging in Sudan, however, the London-based Middle East Eye reported in March that the head of Mossad had met his Sudanese counterpart in Germany as part of a secret plan by Saudi Arabia, Egypt and the UAE to oust Bashir. The residence of the late Menchum I CPDM Section President, Chuo Cyprian Akwo, has been destroyed by flames in Wum. This has left his family counting their losses. The family was asleep when they were awaken by heat and realised that their house was on fire. They quickly called for help that never came even from the so-called Cameroon government soldiers parading the area. The family believes the fire was started by a political detractor. However, there are conflicting reports coming out of Wum with some suggesting that the incident was a vicious and malicious attack staged by armed separatist fighters while others have opined that Ambazonia Restoration Forces were not involved in the attack. The CPDM politician’s residence was set ablaze just few days after he died in Yaounde from an undisclosed illness. Family members have announced his final burial rites for May 4 in Aghem, Wum. Several Southern Cameroons civilians have been arrested by troops loyal to the Biya Francophone regime in Buea as the elements of the Rapid Intervention Battalion continue to crack down on Ambazonian separatists. At approximately 5.20pm on Monday, French Cameroun soldiers stormed the Bolifamba area on lame and ridiculous reasons that they were hunting down Southern Cameroons armed fighters. Scores of Southern Cameroons civilians were killed and dozens injured. A 24-year-old Southern Cameroonian was killed at Mile 17. The man’s partner was reportedly by him when the soldiers opened fire. Cameroon Concord News gathered that 47 people were arrested on suspicion of supporting the armed Ambazonia resistance and 4 were later released. A French Cameroun security agent who spoke to our undercover reporter hinted that many Southern Cameroons civilians arrested in the Fako County have been detained at the Buea Central Police station. French Cameroun soldiers have recently carried out night raids in many Southern Cameroons towns and villages in search of Ambazonia Restoration Forces. Several innocent civilians have been killed by the French Cameroun army who accused them of not revealing the whereabouts of the Southern Cameroons fighters. Twenty-nine German tourists were killed when their bus spun off the road and tumbled down a slope before crashing into a house on the Portuguese island of Madeira. Drone footage of the aftermath of the accident showed the badly mangled wreckage of the bus resting precariously on its side against a building on a hillside, the vehicle’s roof partially crushed and front window smashed. Rescue workers attended to injured passengers among the undergrowth where the bus came to rest, some of them bearing bloodied head bandages and bloodstained clothes, others appearing to be more seriously hurt. Local authorities said most of the dead were in their 40s and 50s. “Horrible news comes to us from Madeira,” a German government spokesman tweeted after the crash. “Our deep sorrow goes to all those who lost their lives in the bus accident, our thoughts are with the injured,” he added. German holidaymakers were the second largest group after British tourists to visit the islands — known as the Pearl of the Atlantic and the Floating Garden in the Atlantic — in 2017, according to Madeira’s tourism office. The islands are home to just 270,000 inhabitants. Filipe Sousa, mayor of Santa Cruz where the accident happened, said 17 women and 11 men were killed in the crash, with another 21 injured. A doctor told reporters another woman died of her injuries in hospital. “I express the sorrow and solidarity of all the Portuguese people in this tragic moment, and especially for the families of the victims who I have been told were all German,” President Marcelo Rebelo de Sousa told Portuguese television. He said he would travel to Madeira overnight. “It is with profound sadness that I heard of the accident on Madeira,” he wrote on the government’s Twitter page. 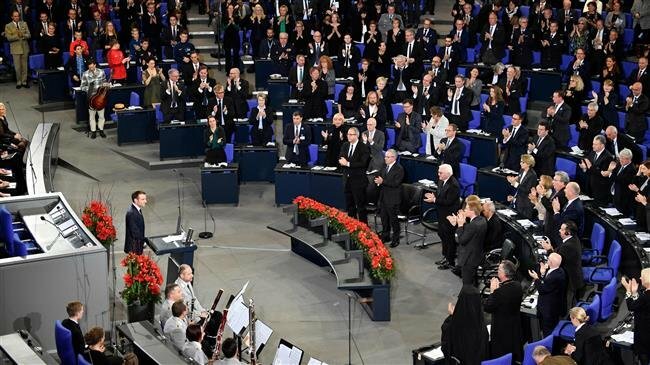 “I took the occasion to convey my sadness to Chancellor Angela Merkel at this difficult time,” he added. The regional protection service in Madeira confirmed 28 deaths in the accident that happened at 6:30 pm (1730 GMT) Wednesday, while hospital authorities said another woman later died of her injuries. The bus had been carrying around 50 passengers. Regional government Vice President Pedro Calado said it was “premature” to speculate on the cause of the crash, adding that the vehicle was five years old and that “everything had apparently been going well”. Judicial authorities had opened an investigation into the circumstances of the accident, the Madeira public prosecutor’s office told the Lusa news agency. Medical teams were being sent from Lisbon to help local staff carry out post-mortems on the dead. The grassroots members of Britain’s ruling Conservative Party are planning to campaign against Prime Minster Theresa May and force her to step down amid a failure to deliver on results of a 2016 referendum on leaving the European Union. Reports in the British media, including one in the Guardian newspaper on Wednesday, said that grassroots Conservative activists will try to press May to stand down as prime minister because of her failure on Brexit which they said has badly damaged the Tory party’s reputation. The activists will force an extraordinary general meeting of the National Conservative Convention (NCC) where party members could hold a vote of no-confidence in May. The NCC would be obliged to hold one such conference if more than 65 Tory association chairs called for one, according to the Telegraph, which also said that Conservatives’ London East area chairman, Dinah Glover, who has initiated the move, had said she was certain the signatures would reach the required threshold. The action comes amid widespread calls within the ranks of the Tories demanding May to step down after she failed to bring Britain out of the EU as required by the law on March 29. May’s critics believe the failure has caused approval ratings for the Conservatives to fall to record lows and allowed the opposition Labour Party and anti-EU groups surge in the polls. May, whose draft Brexit deal with the EU has been rejected in the parliament for three times, managed to secure a second delay to Britain’s withdrawal from the EU in a summit of bloc leaders last week. The country has now until the end of October to leave the EU while it is obliged to hold European Parliament elections in May if it fails to ratify the Brexit deal before those votes. 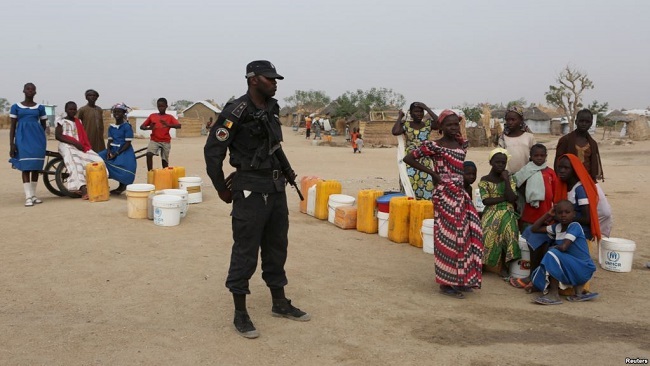 Cameroon officials said Wednesday they are concluding arrangements with neighboring Nigeria for the return of 4,000 Nigerian refugees to their country by April 29. The refugees from Minawao camp, the only official refugee camp in Cameroon’s Far North region, voluntarily opted to return home, according to the region’s governor Midjiyawa Bakari. “We have agreed with the Nigeria government that 4,000 refugees from Adamawa state in Nigeria will be returned. They are the first ones to return but the process will continue after that. They will return by air. Cameroon will provide the security from the refugee camp to the airport,” Bakari told reporters. “We (Nigeria and Cameroon) are discussing how we will do with their children that have been going to school here and the property they have obtained here,” he added. The majority of the refugees at the camp are from Borno state in Nigeria but only those from Adamawa asked to be taken home because “there is calm and security” there, officials said. In early April, Cameroon assisted 40,000 out of about 60,000 Nigerians who fled into Cameroon before Nigeria’s February elections to return home. According to the UN, Minawao camp hosts over 57,000 Nigerian refugees who fled from the atrocities of terror group Boko Haram.